The Day of the African Child is commemorated every year on 16 June by Member States of the African Union (AU), and its Partners (in accordance with Resolution CM/Res.1290 (XL). It is so easy to view the advocacy efforts of organizations to end child marriage in Africa with cynicism in view of deep-rooted cultural attitudes, age-old customs and state-level sharia law that find it acceptable for girls as young as 9 to get married. The Nigerian Child Rights Act of 2003 (CRA) sets the national legal age of marriage to 18 years but twelve years after its enactment, 13 out of the 36 states in the country namely: Adamawa, Bauchi, Borno, Enugu, Gombe, Kaduna, Kano, Katsina, Kebbi, Niger, Sokoto, Yobe, Zamafara have refused to adopt the Act. This is ironic because these states, with the exception of Enugu, represent Northern Nigeria which has some of the highest rates of child marriage in the world. The state assemblies who bear responsibility for pushing the adoption and implementation of the CRA in these 13 States prefer to tread softly rather than step on the toes of some of their Honorable members who have child brides at home and are guilty of this human rights violation they were elected to protect. Child Rights activist have also taken this approach of treading softly so as not to offend “culture” and “religion”. It is indeed a very sensitive subject but as we enter the “post 2015” era, it is important to move beyond the reports, statistics and the data collection (so many impressive reports have been written on this subject) and take proactive and sustainable steps to end child marriage in Nigeria; steps that do not involve the White Elephant project of implementing the Child Rights Act in these 13 states but steps that will focus on accelerating government efforts in making secondary education compulsory in these states for both boys and girls, with an emphasis on the girl child. The GMR 2015 concluded that Nigeria failed to achieve universal primary education, not marginally, but by almost 50%. This is of course a very disheartening result after 15 years and even more daunting when we note that, the “post 2015” sustainable development goals has added compulsory secondary education to the 2030 attainment list. Of particular note is that Nigeria failed to achieve universal primary education because of a failure to get girls who represent almost half of the school age population, into school. (The organization Girls Not Brides estimates that 43% of girls in Nigeria are married off before their 18th birthday). Though many organizations have worked well with young girls by way of mentorship and vocational training, and the economic benefits of the girl dividend have been disseminated by organizations such as CSR Children, we need to get every child in school and ensure that they complete secondary education even if this means offering economic support and incentives for the girls and their families. This is where government comes in. It is also important to engage strong female role models of Muslim and Northern Nigerian descent to push this advocacy forward. I direct this call to the global charity organizations who have in the past used glossy celebrities to advocate for African issues. 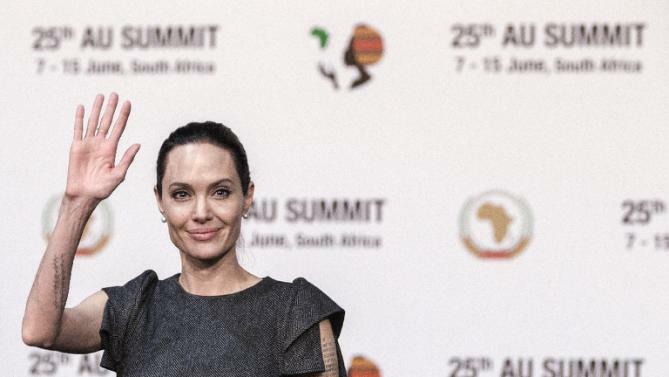 For example, Angelina Jolie, who is in-fact one of my favorite actresses, is not going to end child marriage in Nigeria. The current campaign to end child marriage in Africa is currently being driven by the liberal and the predominately Christian south; and the Western world. We need strong, powerful educated muslim Nigerian women who will be the face and the voice of a global campaign to end child marriage in Nigeria and in Africa; and I ask organizations like Plan, Save The Children, Mercy Corps and UNICEF to look into this. The Nigerian muslim girl needs role models and I am sure that we already have many, but we must give them the media attention necessary to make this advocacy productive. I end with this beautiful and touching story of a young girl who grew up to be a child rights activist and lawyer defending the rights of child brides on death row for killing their husbands. She told me that her mother was so inspired by Funmilayo Ransome Kuti, (the mother of the celebrated musician Fela Kuti and Nigeria’s first female activist who started campaigning for women’s rights in the late 40s) and wanted her to grow up and be like her – a strong independent woman who had her own car. It is for this reason that her mother sent her to boarding school at the age of 9 to escape child marriage. The interview is now available on Podcast and Sound Cloud. Could boarding schools be the answer? Financed and operated in a joint venture between government and the private sector using non-governmental organizations as a bridge? One cannot be too sure and one should be cautious in weighing this option especially after Chibok and the attack on a boarding school which led to the abduction of over 230 girls by terrorists, but it certainly should be a serious consideration in our fight against child marriage. Dr OBAFEMI Abioye Ayantuga, D.Phil.